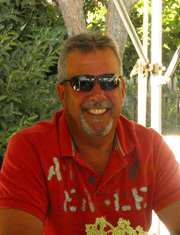 I have been a Master Plumber for the past 25 years and I am the owner of Southold Plumbing & Heating, Inc. in Southold. We specialize in high end homes and work with builders on both the North and South Forks of Long Island. Our paramount concern is in providing exceptional service and workmanship as well as maintaining a professional relationship with each builder we have the pleasure of working with. I started this business from the ground up and can provide you with numerous references. My reputation means a great deal to me. This is why you will always find me on the job site ensuring that the best possible job is done right the first time. You can also be assurred that my staff will always be courteous, clean and professional. Whether you are looking for a multi spray foot bath on your ocean deck, radiant heated showers, or any of the features below, we promise to meet all of your needs and expectations. 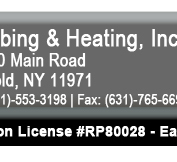 I look forward to meeting with you at your convenience to discuss how Southold Plumbing & Heating can best assist you with your upcoming projects.